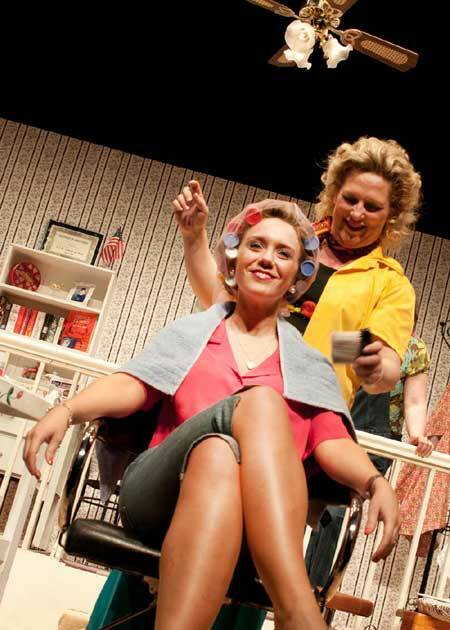 Congratulations to Ballyshannon Drama Society on winning their fourth All-Ireland drama title in Wexford Opera House on Saturday night last, with their production of Roberts Harling's Steel Magnolias. Ballyshannon won one act titles in 1957 with Spreading The News and in 1999 with The Extraordinary Revelation Of Orca The Goldfish. 50 years ago in 1961 they won the full length All-Ireland in Athlone with Old Road and it was fitting that the 50th. anniversary was marked by the victory with Steel Magnolias. As well as the overall prize, Patricia Keane won best actress, Anne McHugh won Best Director, Sinead Luke was awarded the Gormanstown Summer School Scholarship and Aodh Ruadh's own John Travers accepted the Best Presentation Award on behalf of the Stage Crew. 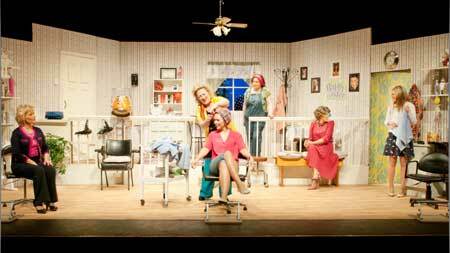 It was unique achievement in that all six cast members were nominated for best actress: Patricia Keane, Aisling Finn, Edel McNally, Ailis McIntyre, Raquel O'Connor and Sinead Luke. Well done to all concerned. 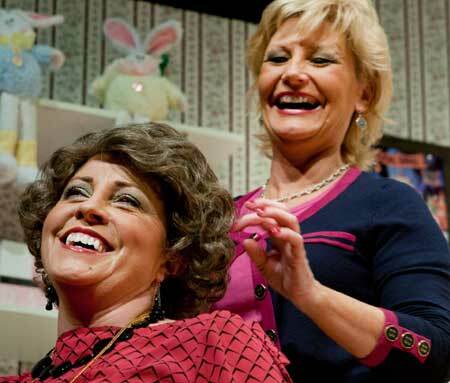 Some of the action from the Ballyshannon Drama Society's All-Ireland winning Steel Magnolias.